Did you know a single strand of hair can show if you’ve been poisoned? Or that redheads were once burned at the stake? Find out what makes hair frizzy, fine or fair. Read up on beards, babies, barbers and baldness, and discover the origin of the word ‘bigwig’. Where did the idea for It’s True! 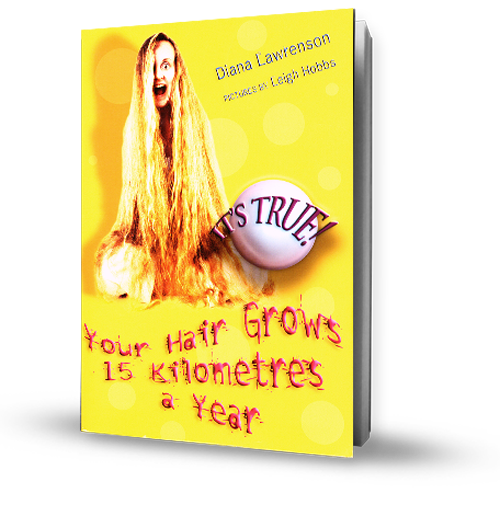 Your Hair Grows 15 Kilometres a Year come from? Everything about the human body has always fascinated me. Hair had endless possibilities from murder to music to language, besides the obvious science. Great fun!